hey! 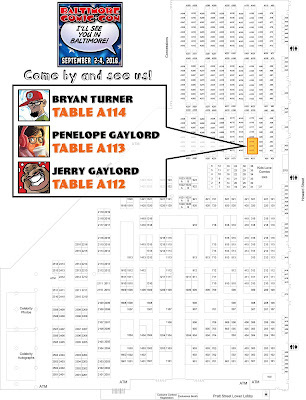 Baltimore Comic Con is this weekend! here's a handy map that leads U directly to ME and the rest of the IDSTUDIOS crew! 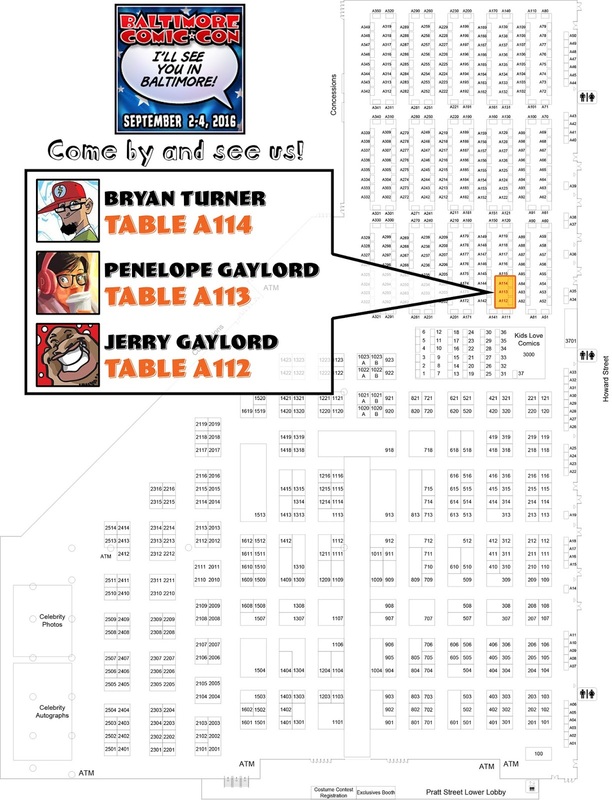 come and see me in the artist alley TABLE A113! i'll have my prints, i'll have more copies of my Daydreams 2 artbooks, and of course i'll be doing commissions all weekend long for anyone that wants them. if you want a commission done, please be sure to come by early in the day so i can have as much time to finish them. see you there!!! here are the giveaways for the month of July! i know it's way into August now, and i'm sorry for the super crazy delay. running the kickstarter, even when there are 4 of in the studio working on em, was super time consuming so my rewards have been sent out a little later. i try to hit the week following the end of the month to send them out. but here i am, 3 weeks into August. this month, the original art is this 6x8 watercolor piece of Liv Moore from the "iZombie" tv show. it was a suggestion from one of my Patreon supporters and i just happen to really like the show. so yeah of course i'll draw her! then there's a fun pack of a comic that i've worked on, plus a mini print, plus a couple of stickers. and the other reward is an 11x17 premium print - this month is my poison ivy print! i love getting fun art stuff in the mail so i assume other people do too. hope they like it! u wanna get some fun rewards and see my art process? join me on my Patreon!!! 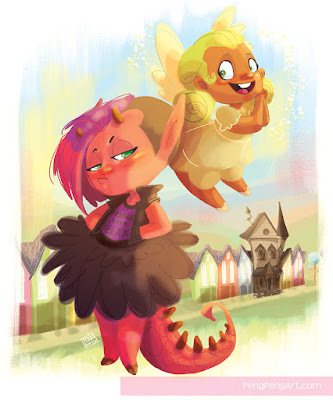 "Little Devil" pinup by me! our very first kickstarter was a success!!! i'm so so happy that my Little Devil story is going to see print and i can't wait to bring her into the hands of my fans and friends! we not only met our goal, but we even got a couple of stretch goals in there, namely our hardcover for all the books! 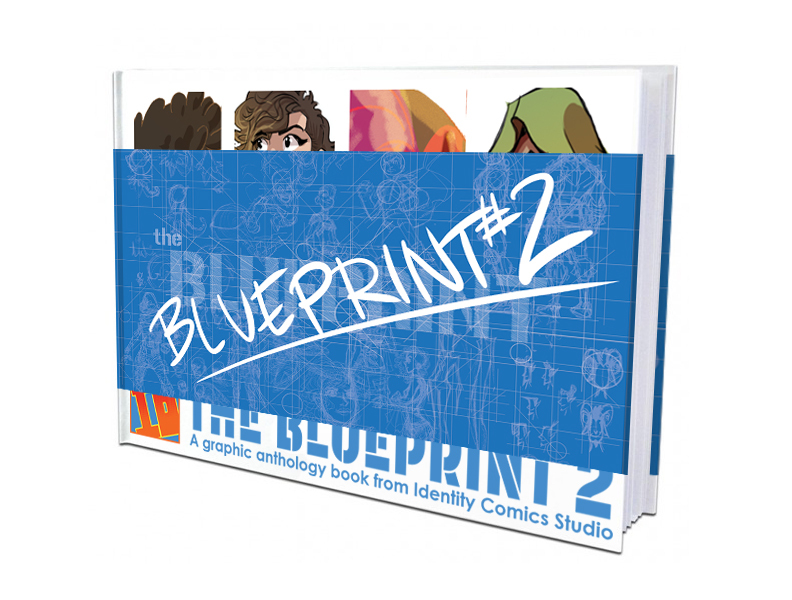 we've always wanted to do hardcover books but it just costs too much for us simple artist folks. but since we surpassed the goal, we've decided to put the extra money back into the book and make it the best quality we can make it. 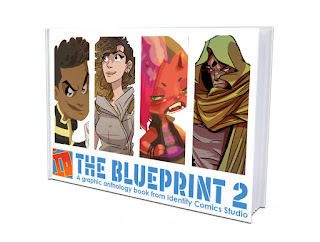 we're getting hardcover on all the books, a dust jacket, and even spot gloss! my goodness! here are a couple of mockups of the book. now, enough posting. back to work! we have 5 days left of our kickstarter campaign. it's been a super stressful month so far and i'm super sorry i let this blog slip quite a bit during that time. u know, i heard running a kickstarter was gonna be time-consuming but nobody told me it was gonna consume ALL the time. 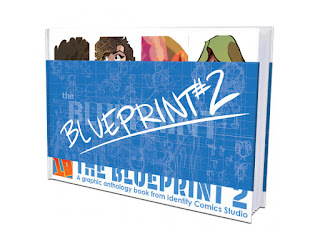 if u haven't done so already, please visit our kickstarter - https://www.kickstarter.com/projects/822502594/the-blueprint-2. we really want to make the best product we can and we're only able to do it with everyone's support. hopefully, it gets funded and we can finally make something that we can really be proud of. then i can get back to posting on here like a normal person. 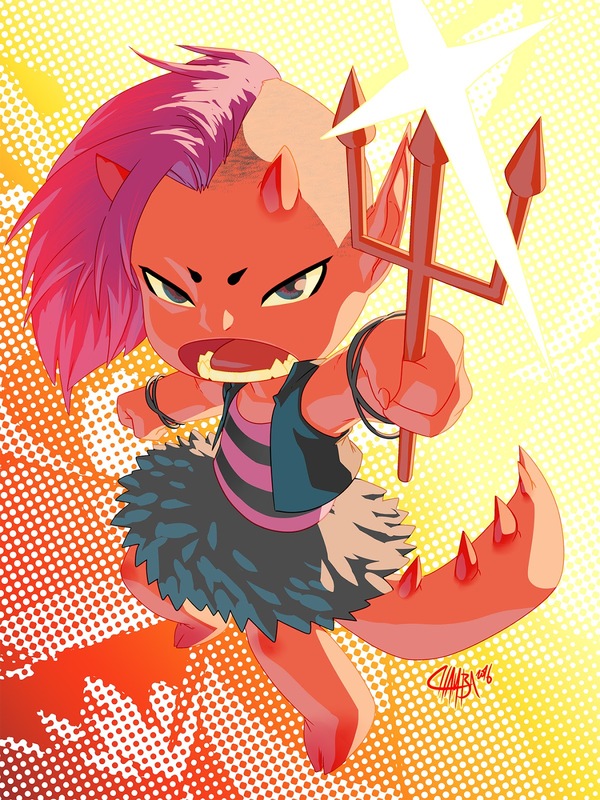 in the meantime, enjoy this TOTALLY WICKED pinup that our friend Jeffrey "Chamba" Cruz did of my character Lucy from my story "Little Devil"! u may know him from a little something called Street Fighter from UDON. he friggin killed it and it's on my everything - my desktop, my phone, u name it. i love it so much! if u pledge for the "Six-Demon Bag", or more, u'll get this print along with ALL the guest artist prints. go to the kickstarter and read up on our rewards!